As a bonus for launch day of The Thoughtful Travel Podcast, you get not one but TWO episodes. This one is already one of my favourites (I know, early days, but just listen). Normally I include three interviewees but these two were such great storytellers that I could only fit in two, and even with just two it’s a relatively long episode! The weird thing is that although I would have been terrified in the situations that Kiliii and Leyla describe, talking to them about these times when they’ve been lost was actually so much fun. I guess it’s just another example of the way that pretty much whatever happens to you when you travel, it all turns into a great story later, you just have to get through it first. 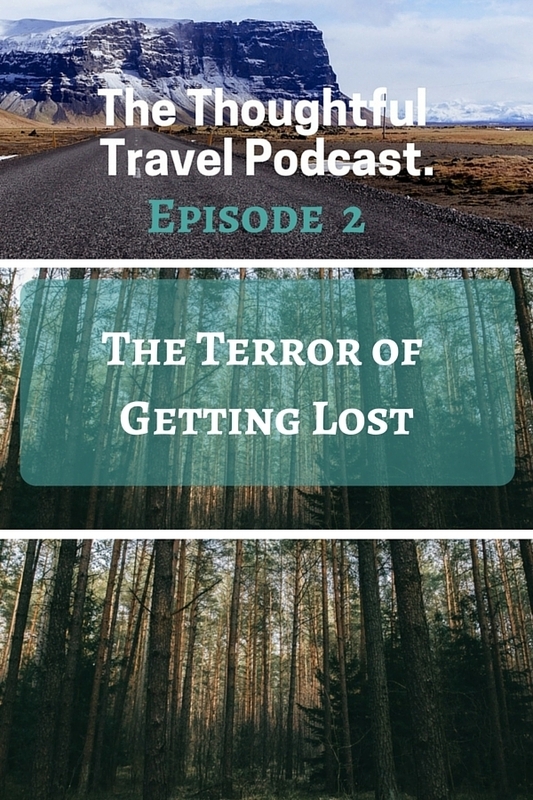 In Episode 2 of The Thoughtful Travel Podcast, it’s all about those times on your travels when you wind up having no idea where you are, or how to get out of there. Getting lost when we travel is all part of the fun – but then sometimes it’s only fun and interesting in retrospect. In this episode, I start off talking to Leyla of Women on the Road, who has had some truly amazing travel misadventures over the years. Let’s just say that more than one of these incidents involve her being handed a rifle and left to fend for herself! Later in the episode I talk to the delightful Kiliii Fish, a photographer who has also worked on wilderness and survival expeditions in the past, so is probably the perfect person to talk to about getting lost. He has some tips if you find yourself alone at night in a tall, dark forest … although he didn’t follow all these tips himself. I am so glad that Leyla mentioned your blog. It is fascinating and entertaining and full of information- even for an experienced traveller. So I subscribed straightaway. Thankvyou very much. Oh Amei, thank you so much! Very glad to hear that and glad you heard about me from Leyla. Hope you continue to enjoy it. So true and inspiring. We all feat to get lost to then admit that those moments are a real blessing!